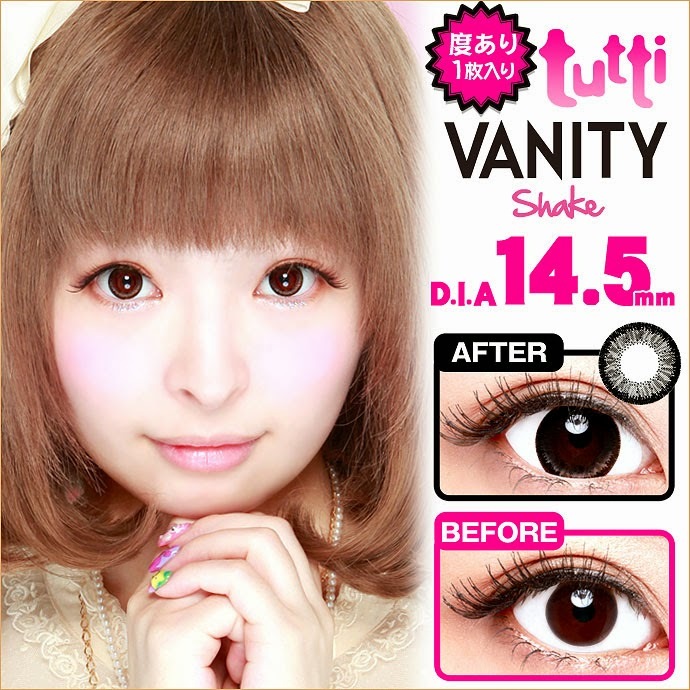 Tutti Vanity Shake is famous for being modelled by Harajuku Pop Icon, Kyary Pamyu Pamyu. 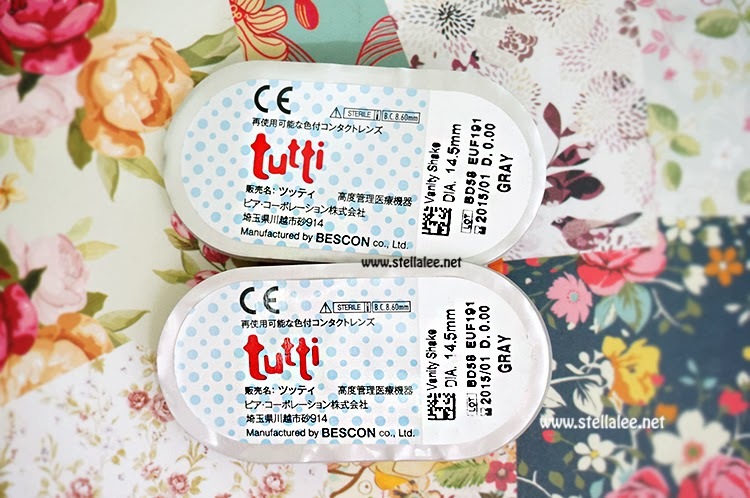 I saw it whenever I visited drugstores in Japan. 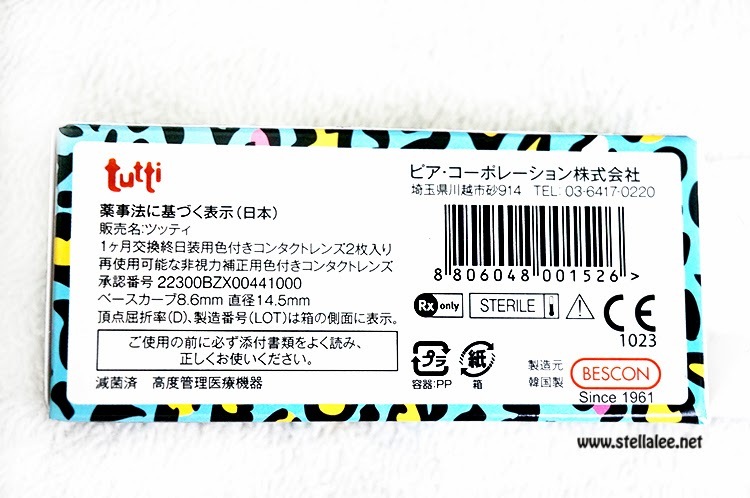 Almost EVERY where you can see this lens in Shibuya and Harajuku and I had always wanted to get it because Japanese Lens quality is too awesome to be true. 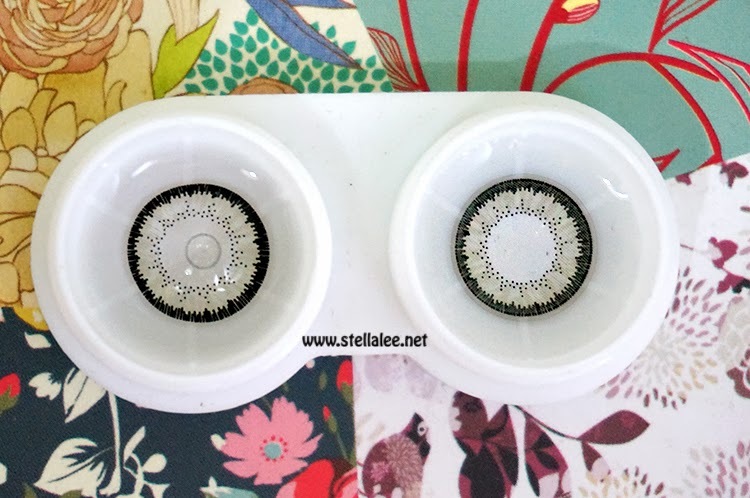 They're God among circle lens, and I am not even exaggerating! Here's how the eyes look like on my eyes. To be honest the enlargement effect is so good! And the color appears brighter that what I thought!! It looks somewhat fake for people who want to have natural look, but those who love doll eye look will instantly like this! 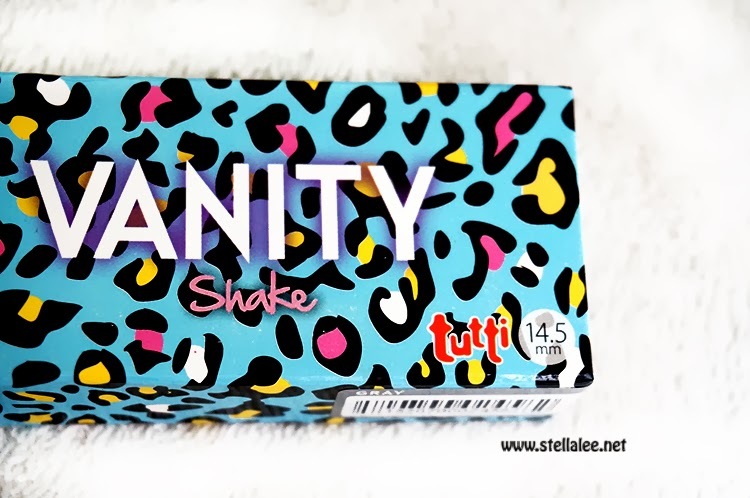 This lens kinda reminds me of my favorite Candy Magic King Size for its similar pattern, but Tutti Vanity Shake Gray seems a little smaller than Candy Magic. 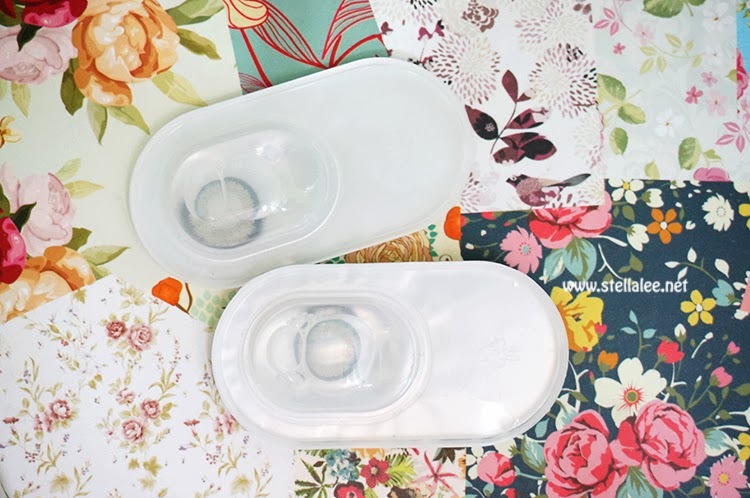 The comfort is of course good and I can wear it all day without any problem [even though my eyes are quite sensitive] and it's quite moist and thin. It's supposed to only last for 1 month according to Japanese Standard but in fact you can wear it for about 6 months!! 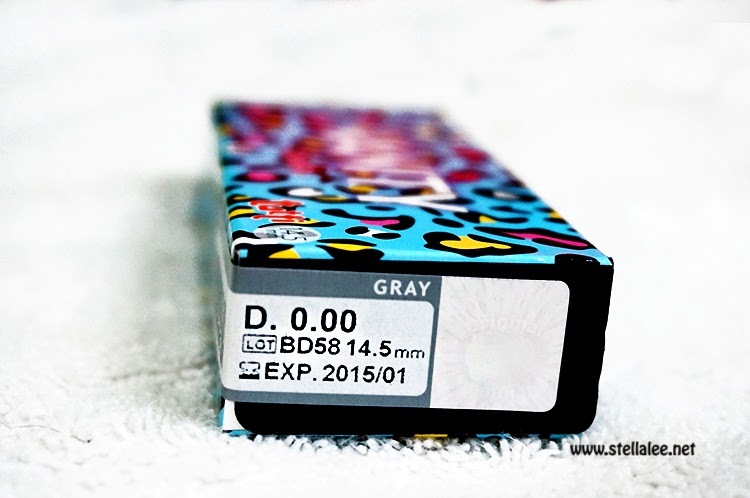 It is my favorite lens right now!! 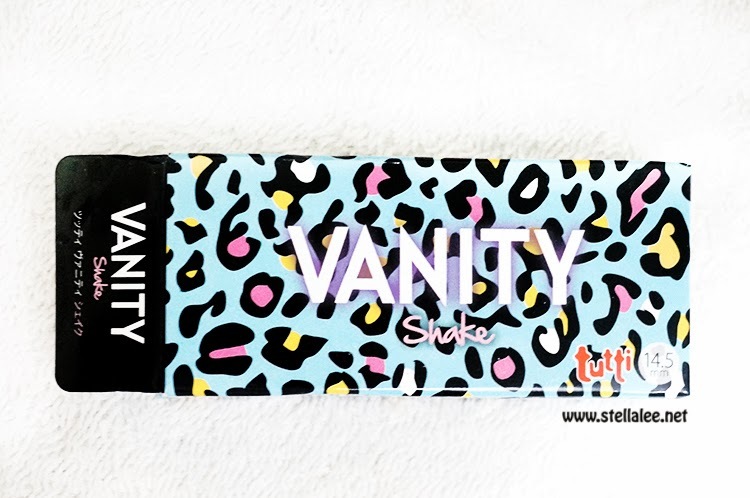 wow i sooo want one :( where is it from ?